Microsoft Exchange is very popular in businesses for email, contacts, and calendar management. Now with the cloud hype, many businesses are moving to Google Apps ( good for them ) and others to Office 365 which is basically an Exchange server hosted in a Microsoft data center. when you switch operating system from Windows to Linux and need to use Exchange for email and calendar every day, it becomes a struggle trying to tweak or find a Linux email client to replace Outlook. pretty soon you find out that there is no other email client that can replace Outlook when using exchange, because Exchange and Outlook are built for each other, so trying to find a client that behaves and work the same way as Outlook in Linux is a fruitless effort. In Linux there is Evolution and Thunderbird for email, contacts and calendar. Evolution supports Exchange through a native EWS plugin, while Thunderbird has no native support for Exchange. for aesthetic reasons I don’t like Evolution ( I think Evolution is way overdue for a face-lift ) so Thunderbird is my preferred email client. 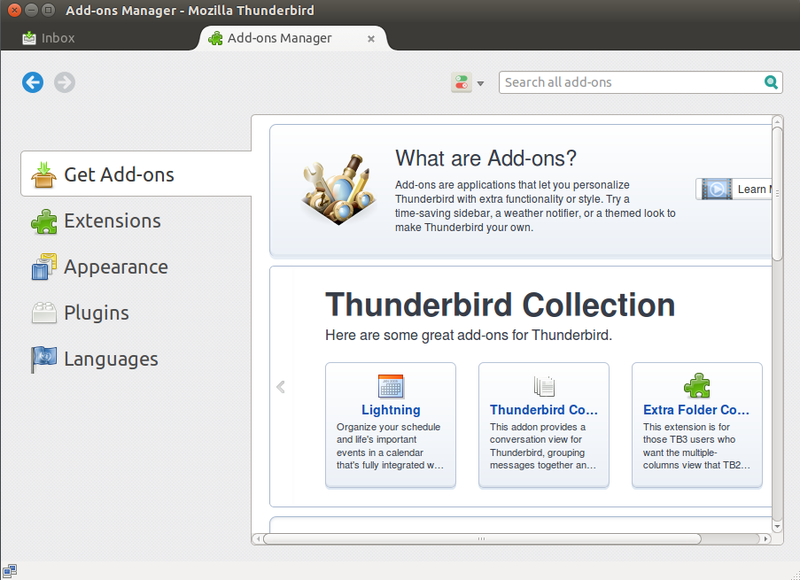 Thunderbird is the default email client in Ubuntu, while Evolution is the default client in Ubuntu GNOME and Fedora. there is another email gateway for exchange that I hear a lot when discussing exchange support in Linux in forums and blogs, the gateway is called Davmail http://davmail.sourceforge.net/roadmap.html I have never personally used it, but according to what I hear, it works fine with Exchange. of course, you can always use a VM to use Outlook, and there is Outlook Web Access as well if you don’t mind using the browser for emails all the time. It takes some time to get used to a different email client, especially when you have used Outlook for so long, but you do get used to, and after that you don’t miss Outlook that much.